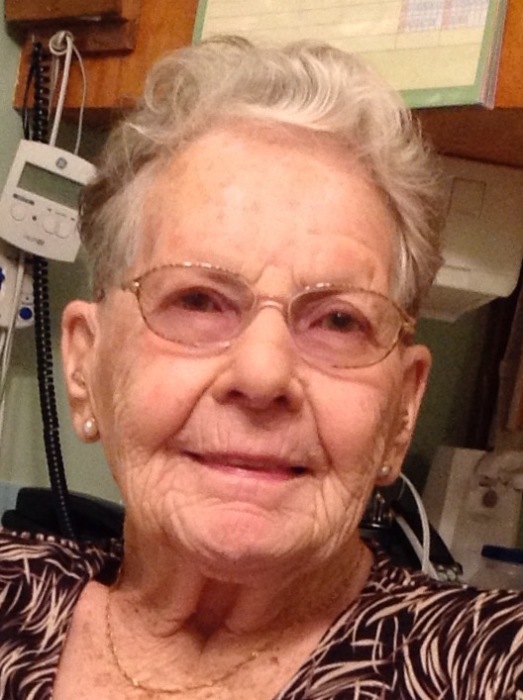 Mrs. Alberta "Albie" Cave resident of Harwood Manor passed away on Tuesday, November 27, 2018 at the Harwood Manor at the age of 93 years. A Celebration of Life Service for Albie will be held on Monday, December 3, 2018 @ 11:00 a.m. from the St. Paul's Anglican Church with Reverend Janice Trost officiating. Interment will follow the luncheon at Woodlawn Memorial Gardens, North Battleford, SK. Memorial donations in memory of Albie may be directed to Huntington Society of Canada 151 Frederick St, Suite 400 Kitchener, ON N2H 2M2; BUH Foundation Po Box 1358 North Battleford, SK S9A 3L8 , or to St. George's Anglican Church in Battleford, SK. Funeral arrangements have been entrusted to Trevor Watts of Eternal Memories Funeral Service & Crematorium.